News outlets have been covering an upcoming change to Facebook, reporting that users photos will be deleted if they don’t download the new Moments app by July 7. What the news outlets have not properly explained is that Facebook is NOT deleting all your photos. The images that the change will affect are only your Synced Photos, an album of pictures that were synced from your phone to Facebook to potentially be shared at a later date. You can see the album I’m referring to by accessing the Facebook app on your phone. From there, visit your profile page and click photos. Across the top of that screen, you’ll see the options above. If you click on Synced, you’ll get a warning from Facebook (see left) alerting you that photo syncing is no longer possible and that the new Moments app should be downloaded to access and privately share your photos. So what to do if you don’t want your synced photos deleted? Either download the free Moments app on your phone BEFORE JULY 7, or download all your synced pics straight to your computer. If you do neither, the synced photos in that album will be purged some time after July 7. If these are not images you’re worried about saving, then don’t sweat this change. The official statement from Facebook’s blog assured users that even if photos are deleted, this will not affect any other photos or videos shared on Facebook separately from the specially synced album. The phone-syncing function was launched in 2012 to make it easy to share these photos online at a later time if you didn’t want them immediately uploaded to your profile. This feature is being phased out because Facebook wants to place the emphasis on Moments. The Moments app has been around for about a year now. It can scan your images to pinpoint familiar faces and identify them with specific Facebook friends. The app also allows users to group images by events, and share them directly with the people who are tagged. 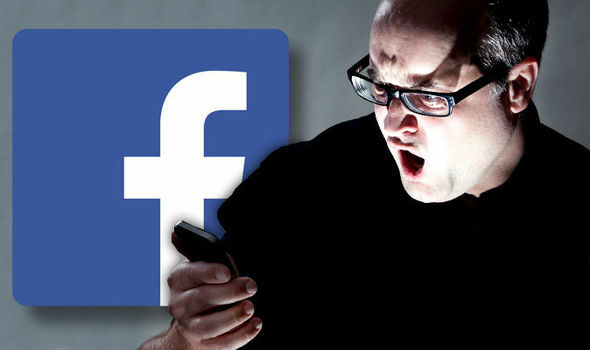 Read more on Facebook’s upcoming change. Call 618 Creative if you need help with your Facebook page! Running a business can be life-consuming. When you factor in the accounting, sales and client lead generation, and employee management, it’s a wonder small business owners have time to sleep. It’s not surprising that marketing and social media management become an afterthought. 618 Creative can help you with that. Whether you need to update your website content, need better public and media relations material or just want a more polished plan in place for your social media platforms, I can help. The initial consultation is free, so you can use that time to tell me about your business and what your needs may be. Then, we discuss your budget limitations and prioritize the work. If you’re struggling to keep up with the demands of marketing and social media, please reach out. Email me today at 618creative@gmail.com to set up your free, no commitment consultation! So what makes social media content that people can’t ignore? This Slideshare by Lisa Parkin, CEO of Social Climber, gives some great examples of brands who are killing it. 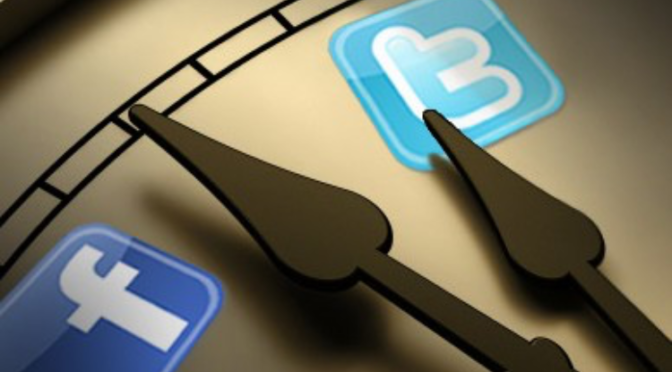 Don’t have time or the know-how to tackle social media for your business? Let 618 Creative make your brand shine on social! Contact us today! Email 618creative@gmail.com. No one likes to hear negative feedback, especially if it isn’t given in the context of constructive criticism. So I understand why it is the first instinct of many of my clients, friends and colleagues to delete any negative comments and posts on their professional social media pages and websites. In their minds, they are removing the negativity and complaints and thus disassociating it from themselves and their business. Deleted = gone. But there are several problems with this method. In the various stages of my career, as a communications professional for larger organizations and now as business owner myself, I have advocated for letting negative feedback stand on business social media pages. First, customer feedback is valuable in all forms. Good feedback, in the form of testimonials, positive reviews and kudos, are valuable for obvious reasons. But negative feedback, concerns or complaints can also be valuable. Use that information to evaluate your business, your staff and the services you are providing. Was there a problem that could be remedied for that customer or for future customers? How can you improve? Remember, the customer took to social media or your website to complain BECAUSE he or she knew everyone could see it. He or she was fully aware that the world was watching for your response. So make that work in your favor! Instead of deleting the comment, respond with the very best customer service you can provide. Show the customer – and everyone else who is watching – what kind of service you provide to customers when they are dissatisfied. As a consumer, I am often MOST impressed with businesses who handle disgruntled or dissatisfied customers on social media with grace and fantastic customer service. If I see a business ignoring a customer’s complaint or concern, that tells me I’ll have the same response if I buy from that business and have a problem. Deleting a comment does not make it go away. The individual will likely comment again, and call you out for deleting their complaint. And, let’s always remember this – nothing you do on the internet is ever really erased. Someone, somewhere probably took a screenshot of the page. Truly. It happens all the time. Spammers – people who comment or post on your pages with content unrelated to you or your business. Delete those immediately and report them if you can. Anyone posting hate speech or defamatory, libelous, illegal or any potentially harmful language – delete it. This should go without saying. Trolls – there are always some folks who are just there to cause problems. They may not even be customers. You’ll know them because they won’t let it go. If you encounter someone like this – or anyone who seems to get more upset the more you try to work through the issue, always suggest taking the conversation off-line to phone or email. But in most cases, I advocate for responding, appropriately and with good customer service in mind, to all comments on your businesses’ social media pages and websites. Do it promptly and with the same amount of patience and professionalism you would if the person was standing in front of you. Do it as though the entire world were watching you – because they are. Need help with your social media strategy? Contact 618 Creative. *You should always have your profanity filter on!